Before installing, I ran sudo jockey-text -a in the live session and established wireless connectivity (checked it worked). During install I checked that I wanted updates installed and the installer screen indicated I had internet connectivity. After the install, there were still many updates available, but not installed. As I understand, the option for downloading updates while installing does just that - downloads them. They're stored in /var/cache/apt/archives then for when the user runs the update manager in the future. No, I got the restricted drivers installed this time (because I had internet). I'll update the other bug to make it clear that's only about not installing off the installation media. If the design is to only download updates for later installation, then it's working correctly, I just made some incorrect assumptions. Perhaps the text could be clearer? Nevermind re #4. I was thinking of a different bug. I did get the drivers on this install. Scott, can you confirm that when this box is checked, the installed system has packages in /var/cache/apt/archives? I'll need to redo the install to check as I've done postinstall updates now. Confirming bug, I get this problem from the RC. Could that KEY be included with the installation ? Because I also get the same error after installation. This is from a dutch mirror: http://nl.archive.ubuntu.com/ (very likely ubuntuarchive.bit.nl), I'm do not know if it is the same with all mirrors (I presume the mirror is up to date). 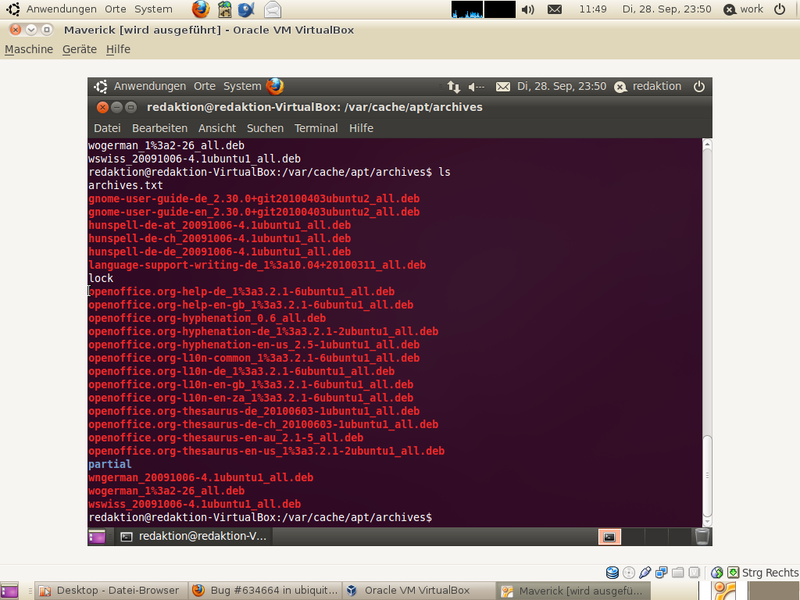 You can make that message disappear if you install "ubuntu-extras-keyring" at least that was in Beta. Its due to the new "extras.ubuntu.com"-Repository but it should not be related to this update-problem. To be clear, the updates will not be installed. This is by design. The check box for this option says "download updates", not "download and install". The contents of your apt cache lead be to believe that the functionality is in fact working. Was that /var/cache/apt from the target filesystem? # imagine. Have those spin until the lock is released. 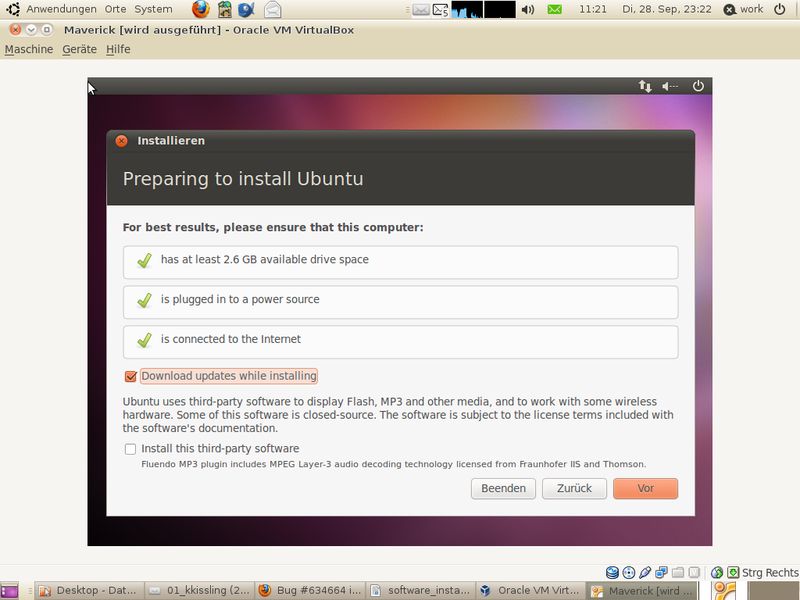 Then run the install again, being sure to check the download updates box. When the install completes, attach /var/log/syslog and /var/log/installer/debug to this bug report. Since this just affects installation and we don't respin ISOs for NON-LTS, I think a natty milestone makes more sense.